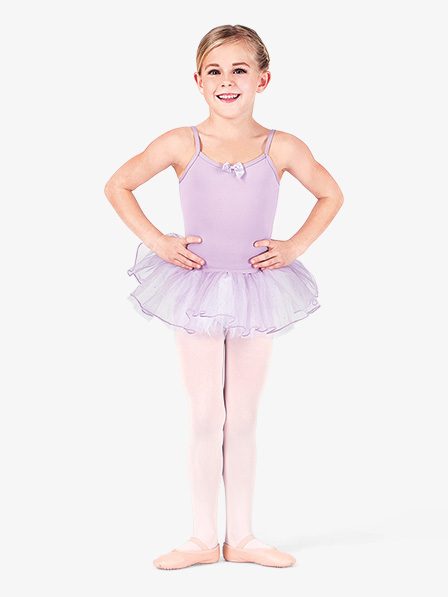 The perfect ensemble for dance class, Natalie's child camisole tutu dress features an attached sparkling glitter skirt made up of 3 layers of tulle under a layer of dazzling glitter mesh! Hand wash in cold water, hang dry. Bust 18"-20" 21"-24" 24"-26" 25"-27" 28"-30" 31"-33"
Waist 18"-20" 21"-24" 21"-24" 22"-25" 27"-29" 30"-32"
Hip 21"-22" 23"-26" 26"-28" 27"-29" 30"-32" 32"-34"
Girth 39" 44" 47" 49" 53" 55"
I purchased this for my daughter and the leotard is very soft and has a nice lining on the inside. Very good quality. It is simple and having the tutu already attached is nice. The tutu makes it a little harder to pull the leotard up but not enough to make the leotard not worth buying. Perfect fit for my 3 year old daughter. Such a cute outfit and seems to be well-made. I bought this for my daughter who always asks to sleep in it! 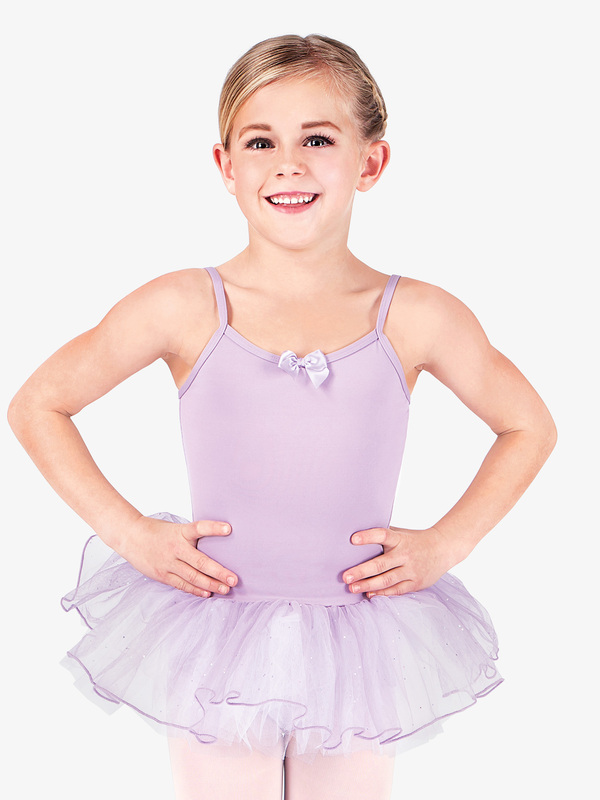 A great tutu dress that every little girl will love. 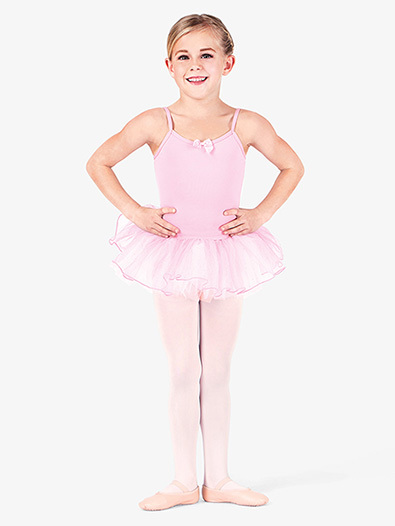 She uses it with ease at her dance class and gets many compliments. What is the approximate length of this item? The approximate girth measurements for this style are as follows: Toddler: 39 inches Small: 44 inches Intermediate: 47 inches Medium: 49 inches Large: 53 inches To take the girth measurement: Start at the top of shoulder, run the measuring tape down the front of the body, through the crotch and up the back to the same shoulder.